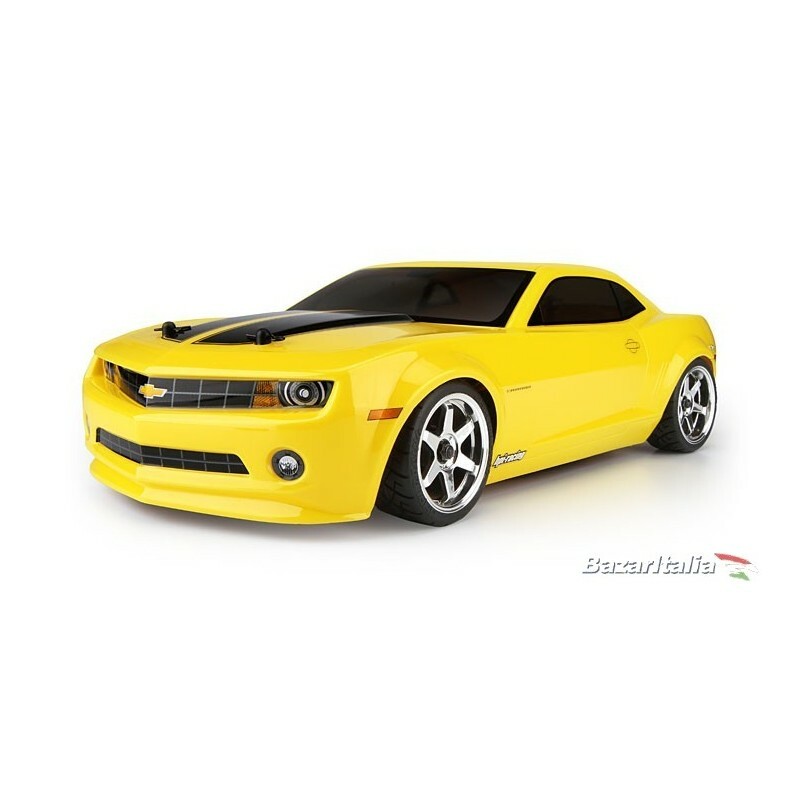 Automodello Sprint 2 Flux Chevrolet Camaro 2010 4WD 1:10 RTR. 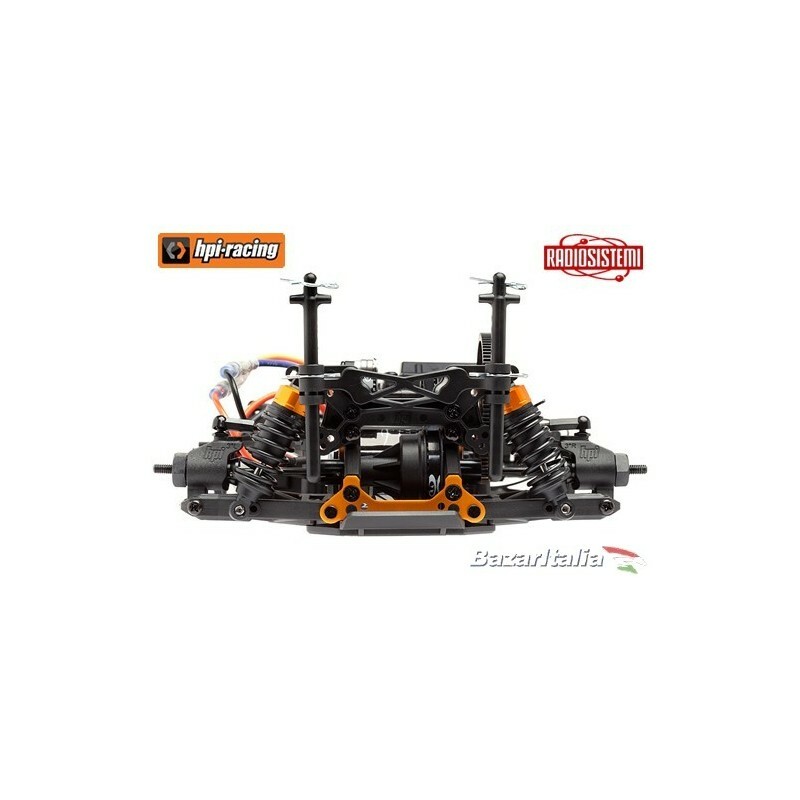 The RTR Sprint 2 Flux is the easiest way to jump right into the wild and fast world of brushless street car fun! 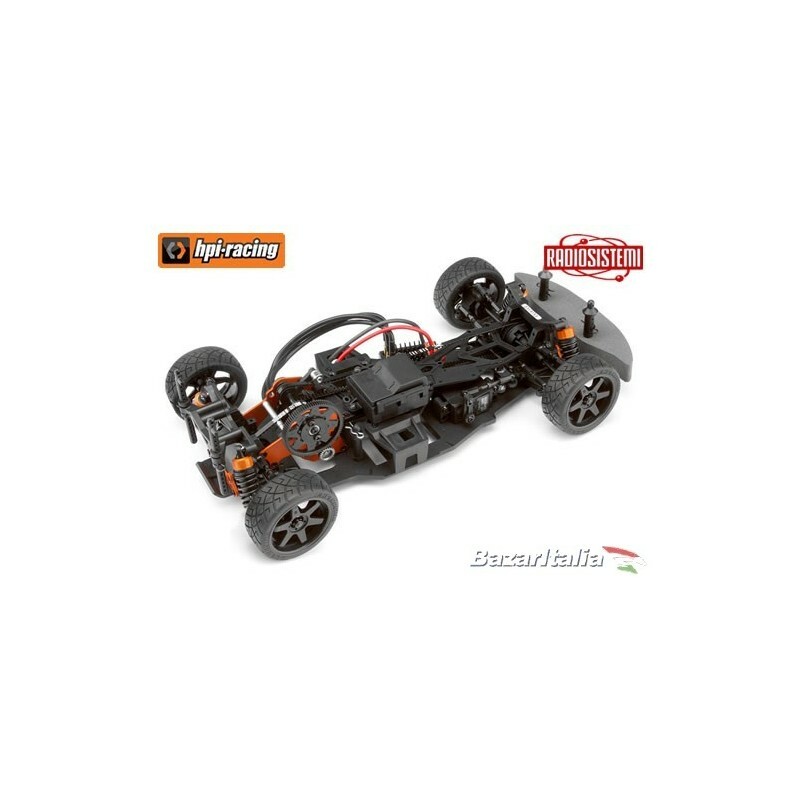 The Sprint 2 chassis is a fantastic way to get started with touring cars and street racing, because it features a completely pre-assembled race car chassis that's ready for loads of action! We've packed in all the latest features like 2.4GHz control and complete waterproof protection so you can take it just about anywhere! 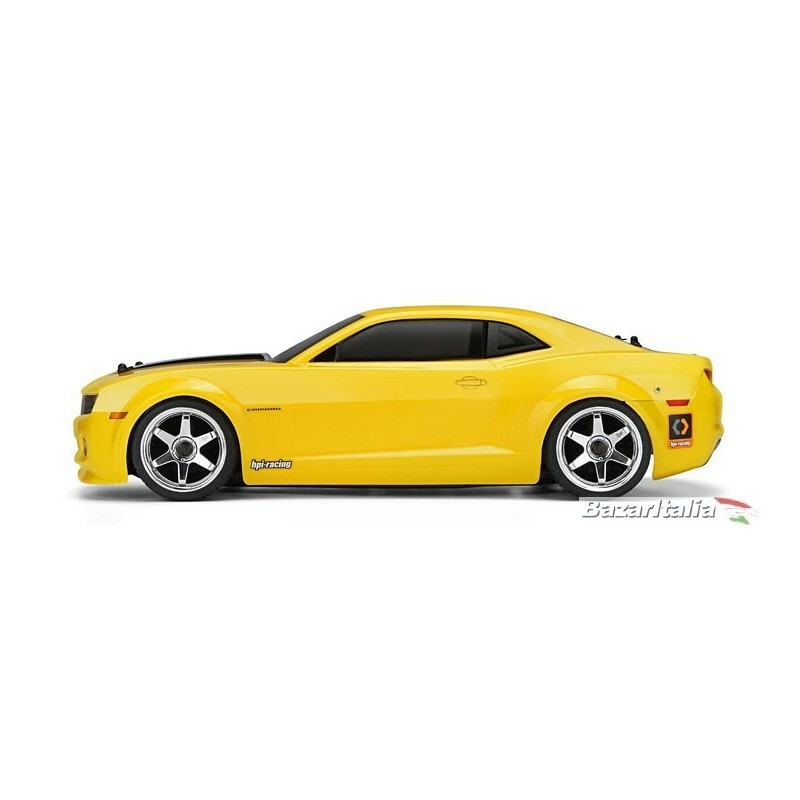 This RTR Sprint 2 Sport is also fitted with our amazing 2010 Chevrolet Camaro bodyshell for awesome sports car good looks! The Sprint 2 Flux a quick and easy way to get straight into driving, racing and honing your skills! This is a complete racing machine that looks and drives just like the real thing! Waterproof: The updated RTR Sprint 2 Flux is now fully waterproof and ready to tackle wet conditions like rain and snow! The new 2.4GHz receiver is safely stored in a brand new waterproof receiver box, protecting it from the elements and ensuring glitch-free operation. The new SF-10W waterproof steering servo and waterproof Flux Vapor electronic speed controller complete the package, allowing you to enjoy the action on the road no matter what the weather is like! 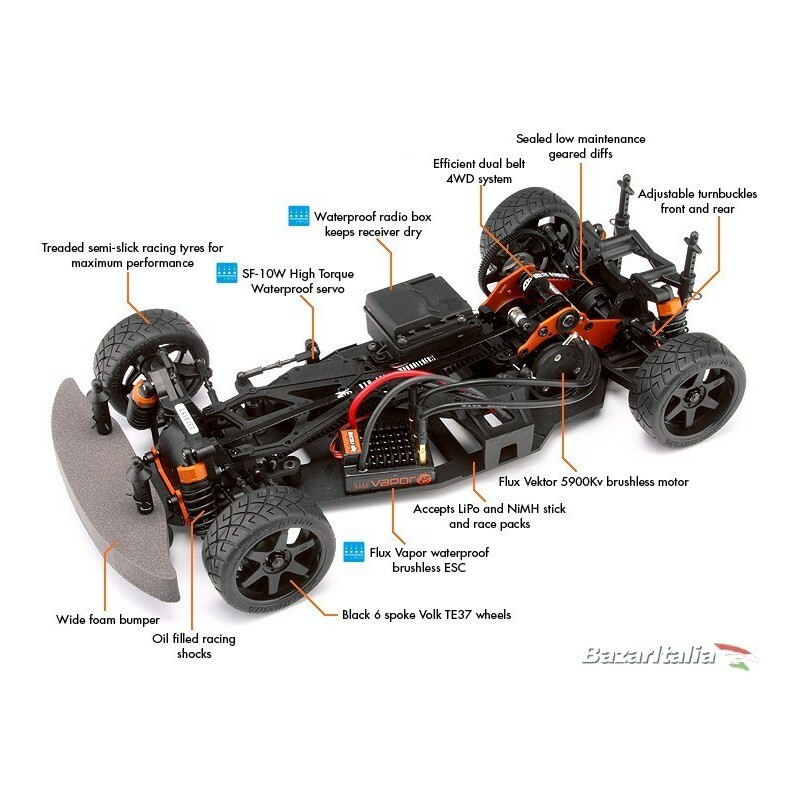 2.4GHz Radio System: All of the latest HPI kits are now fitted with a comfortable and feature-packed HPI 2.4GHz radio system for supreme control and confidence! 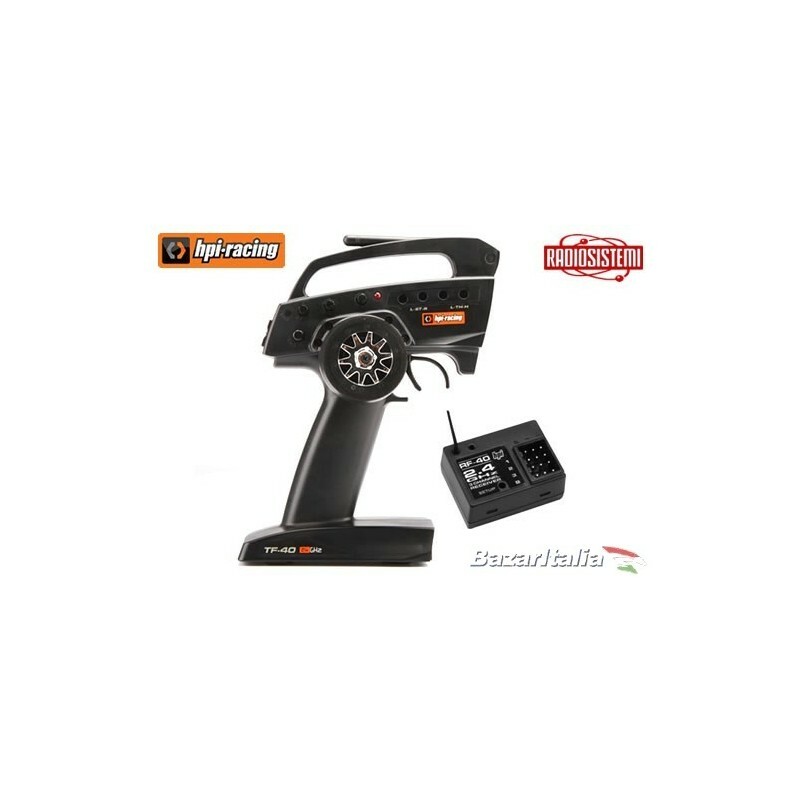 The radio features a pistol-grip design with drop-down steering wheel, 3 channel functionality, easy carry handle, fold-down aerial, end point adjustments, servo reversing and steering dual rate. It's also extremely lightweight due to it requiring only four AA batteries. 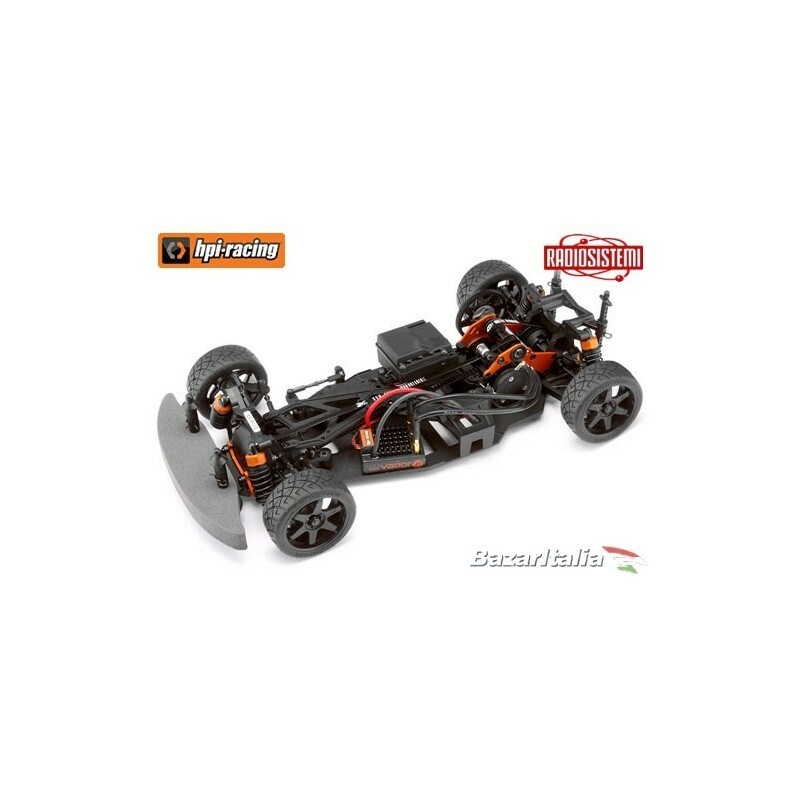 With the RTR Sprint 2 Flux you get the HPI Flux Vapor electronic speed control and a zero maintenance brushless Flux Vektor 5900 motor for stress-free fun, high top speeds and blinding acceleration! 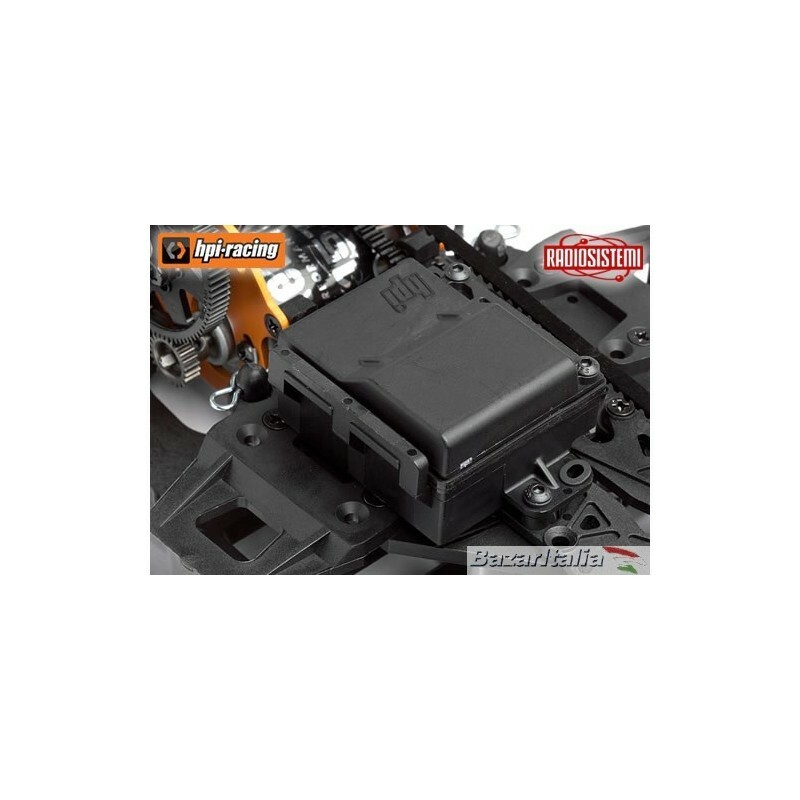 You get to choose the battery to use in the car _ any stick-pack style RC battery (Ni-MH 7.2 volt or LiPo 7.4-11.1 volt) fitted with a real Deans battery connector will fit in the chassis. Use any RC fast charger to top up the batteries, and you can keep running and ticking off laps for hours! 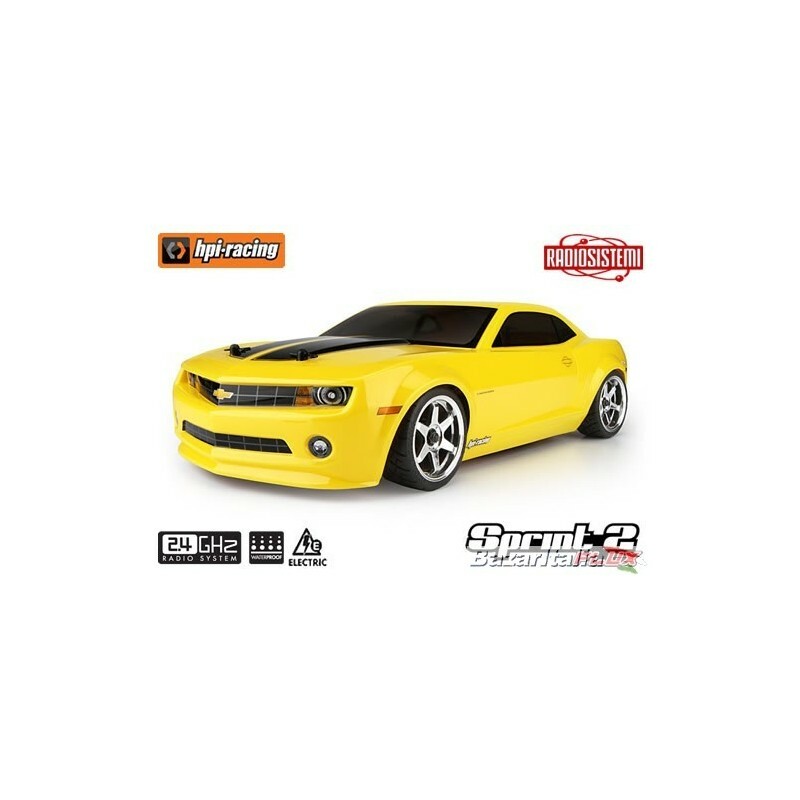 The RTR Sprint 2 Flux features a pre-painted 2010 Chevrolet Camaro street car body with authentic detailing and decals. 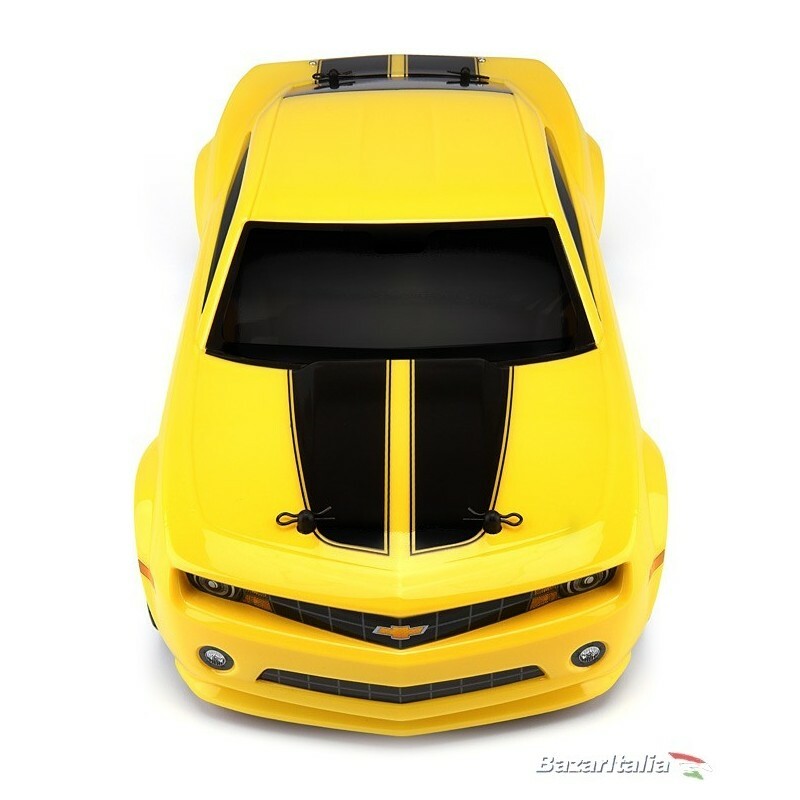 The body comes completely trimmed and mounted for the ultimate in ease, and a functional racing wing is fitted for supreme control at all speeds. 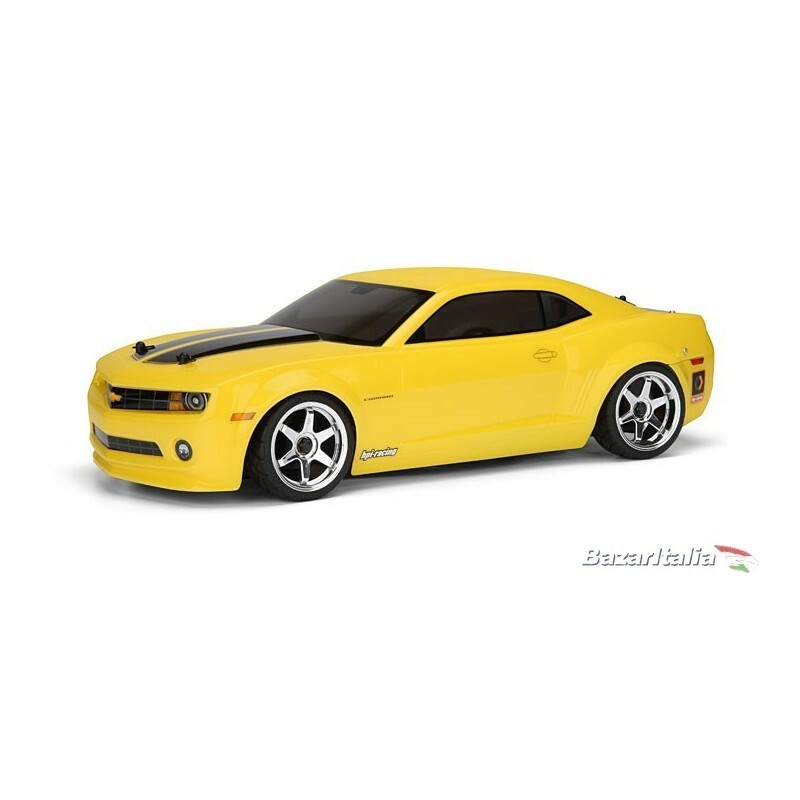 You'll have concours quality appearance, and you can always customize your car with any of the clear or pre-painted polycarbonate body shells from the huge assortment of HPI bodies and other manufacturers as well! For great looks, the RTR Sprint 2 Sport is topped off with a set of officially licensed Rays/Volk TE37 wheels with pre-mounted HPI X-Pattern tyres. 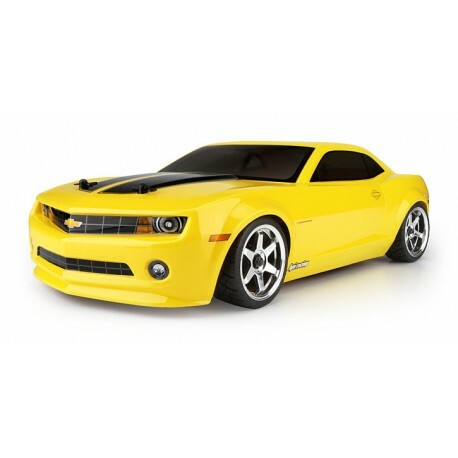 - Officially licensed 2010 Chevrolet Camaro body for super cool looks. - 2.4 GHz radio system for crystal-free, comfortable control. 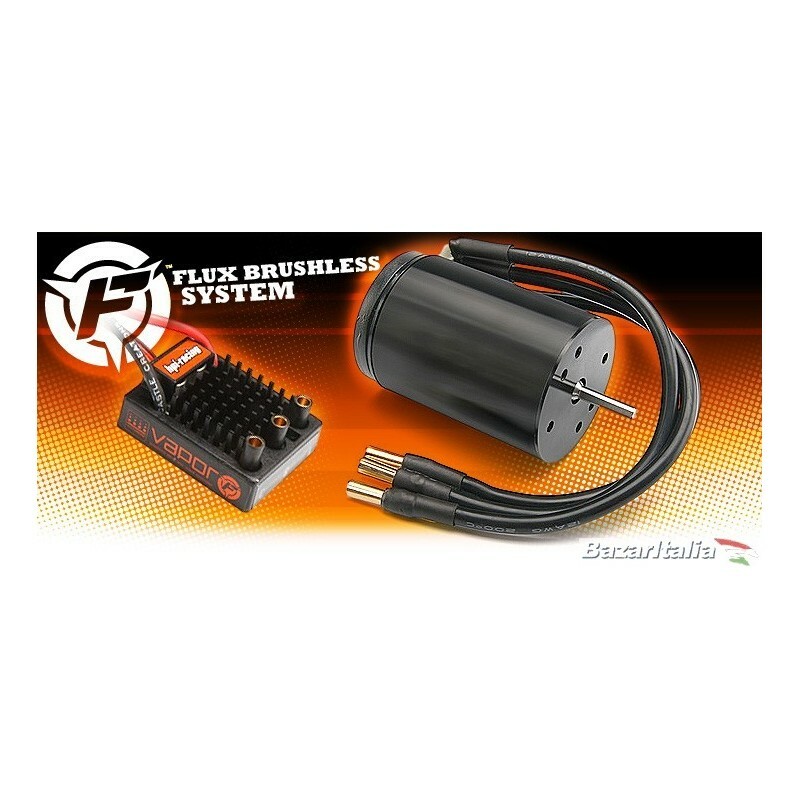 - HPI Flux Vektor 5900 brushless motor. 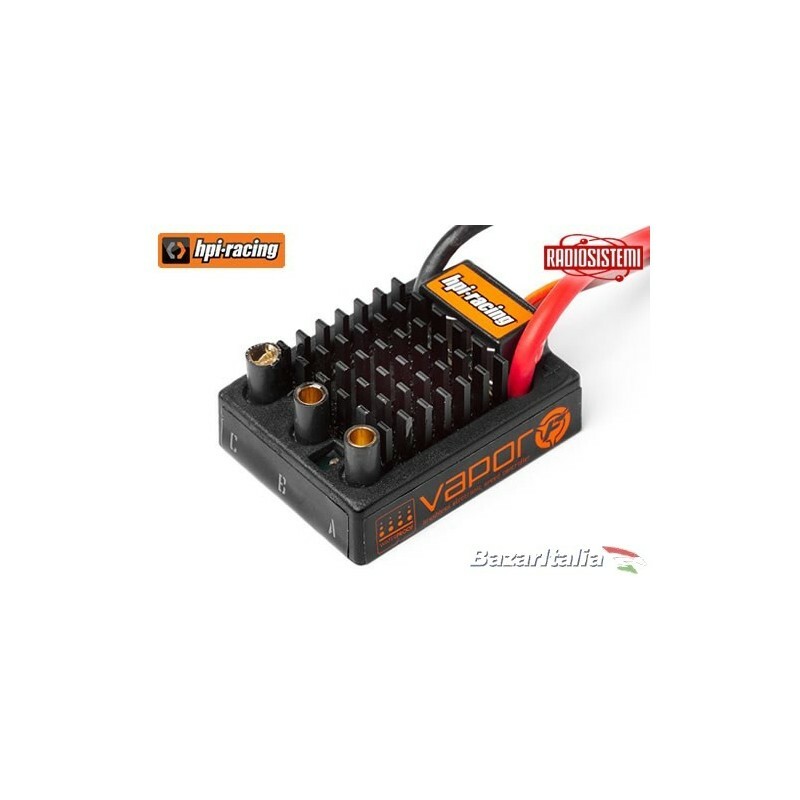 - Waterproof HPI Flux Vapor electronic speed control with LiPo safety cut-off (NOTE: *not* 3S LiPo compatible!). 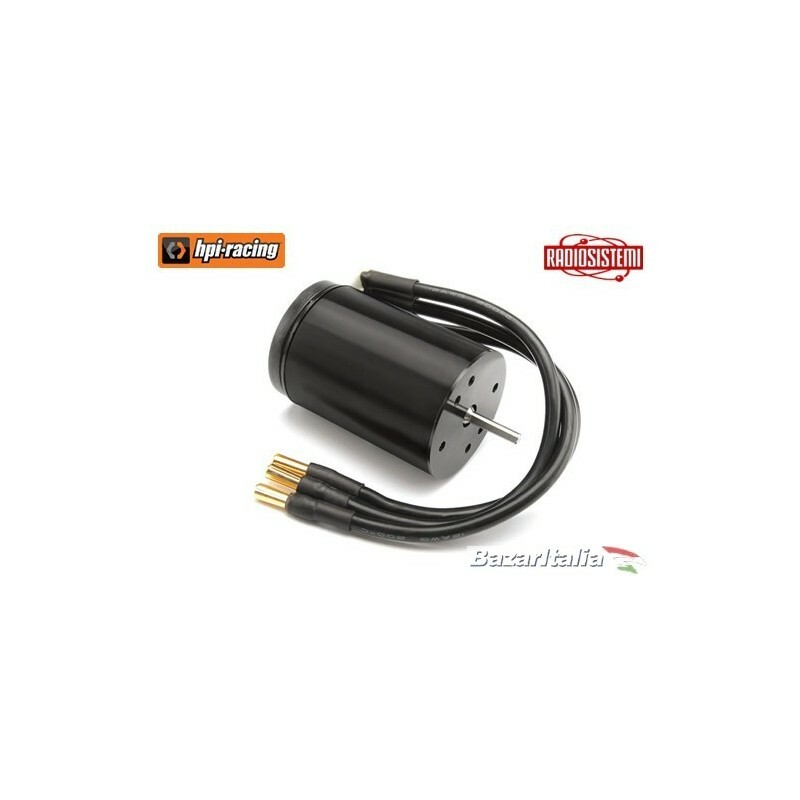 - Waterproof SF-10W steering servo. - Orange anodized aluminium chassis parts. - Officially licensed Rays/Volk TE37 wheels. 6mm offset rear wheels fill out the fenders and give the wheels the wide look seen on full-size race cars. 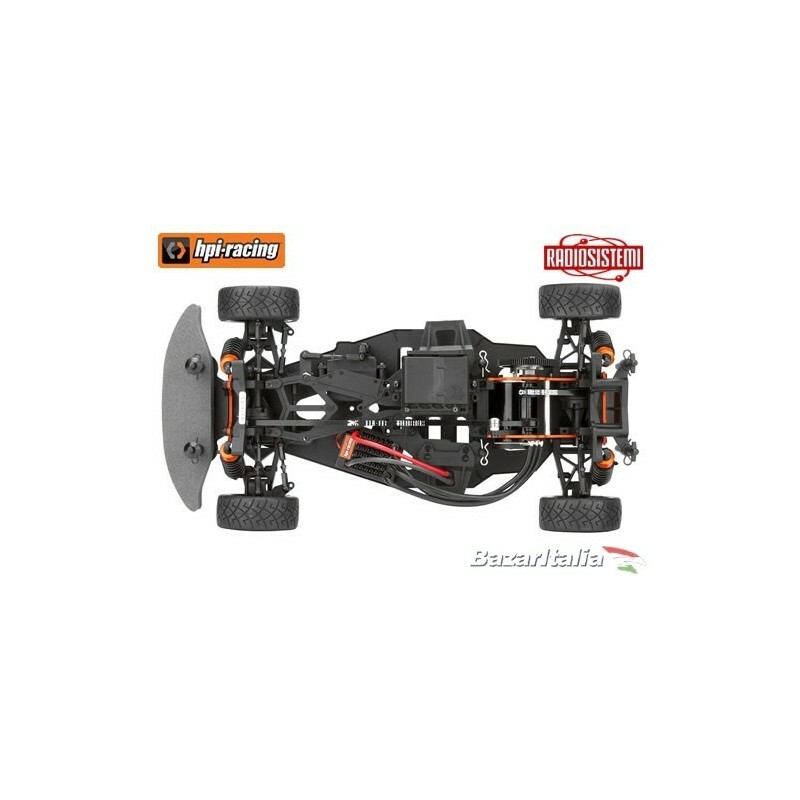 - HPI X-Pattern rubber tyres for realistic appearance and great handling. - Foam bumper protects the car from potentially damaging impacts. - Adjustable body posts allow you to mount a variety of different bodies without trimming or replacing the posts. 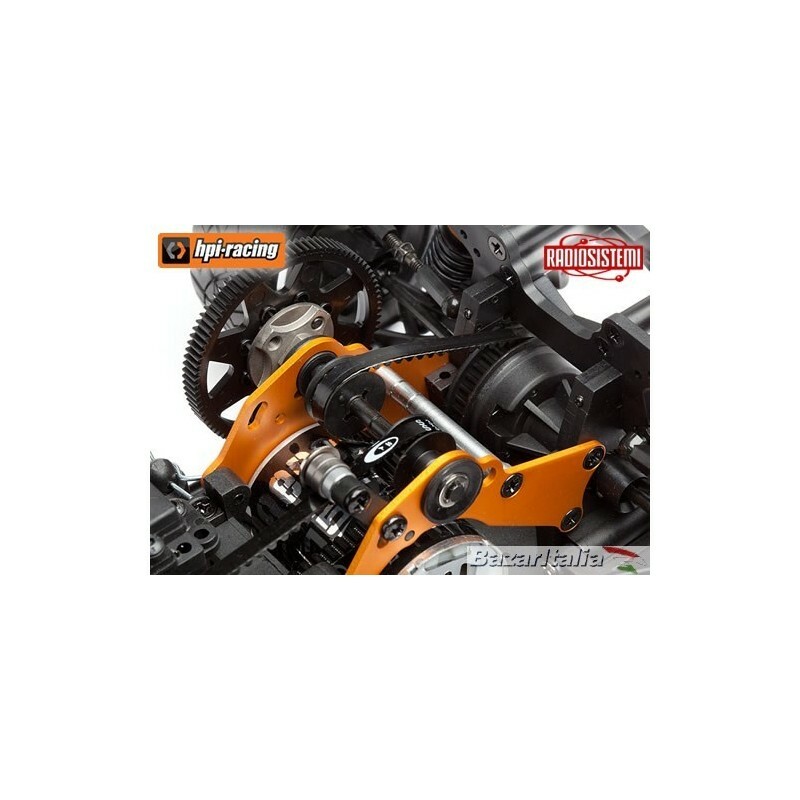 - Adjustable turnbuckles to fine tune your suspension. - Complete set of ball bearings for a smooth and efficient drivetrain. 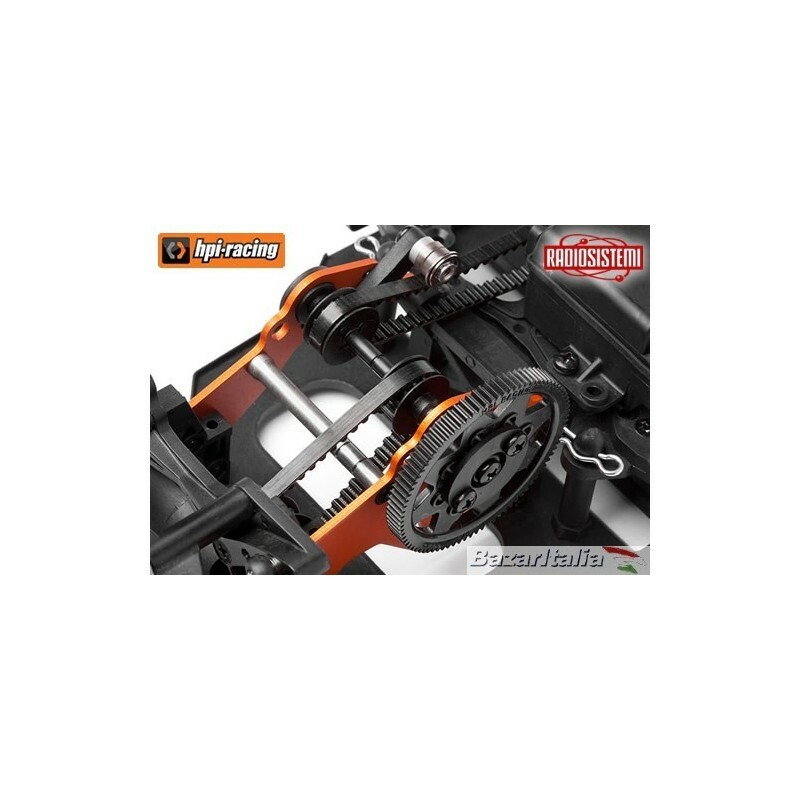 - Oil-filled coil-over shock absorbers with specially chosen springs for drifting. - 2 degree and 3 degree rear hubs for additional tuning choices. 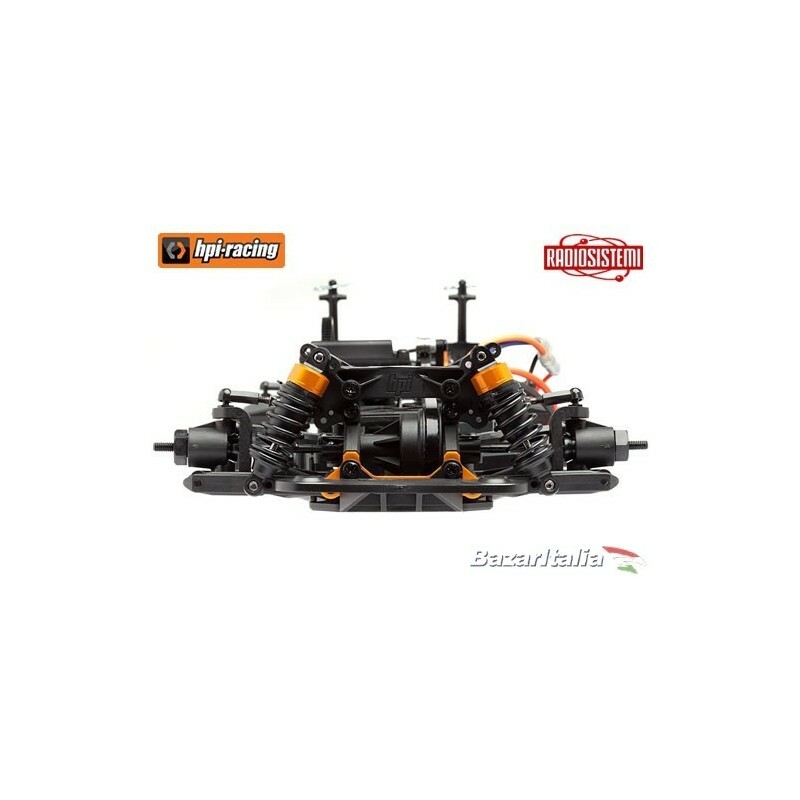 - Durable injected moulded nylon main chassis. 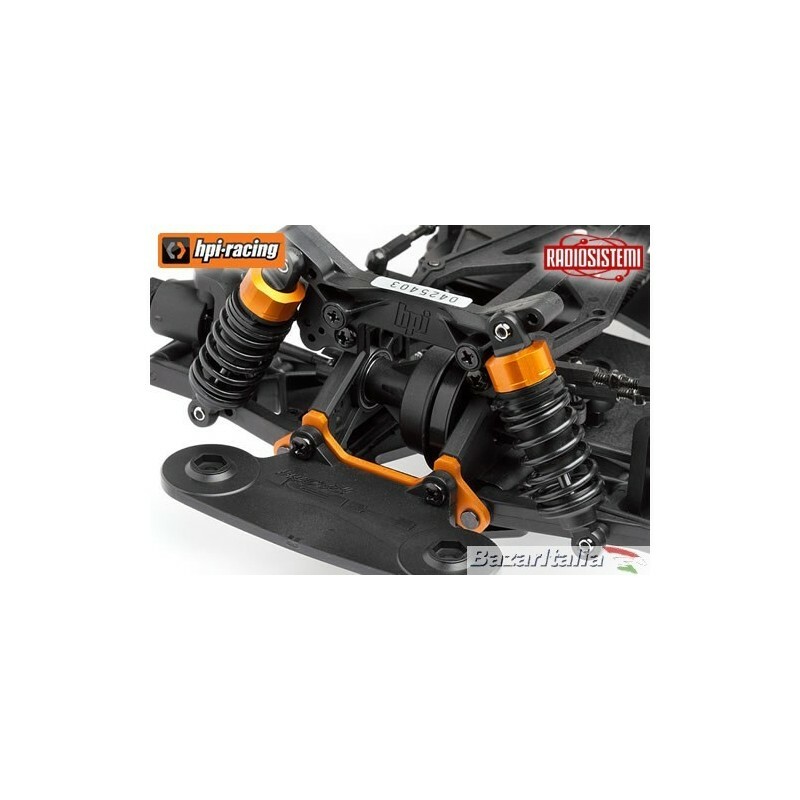 - Front and rear shock towers with optimized shock absorber and camber link positions for ideal suspension geometry. 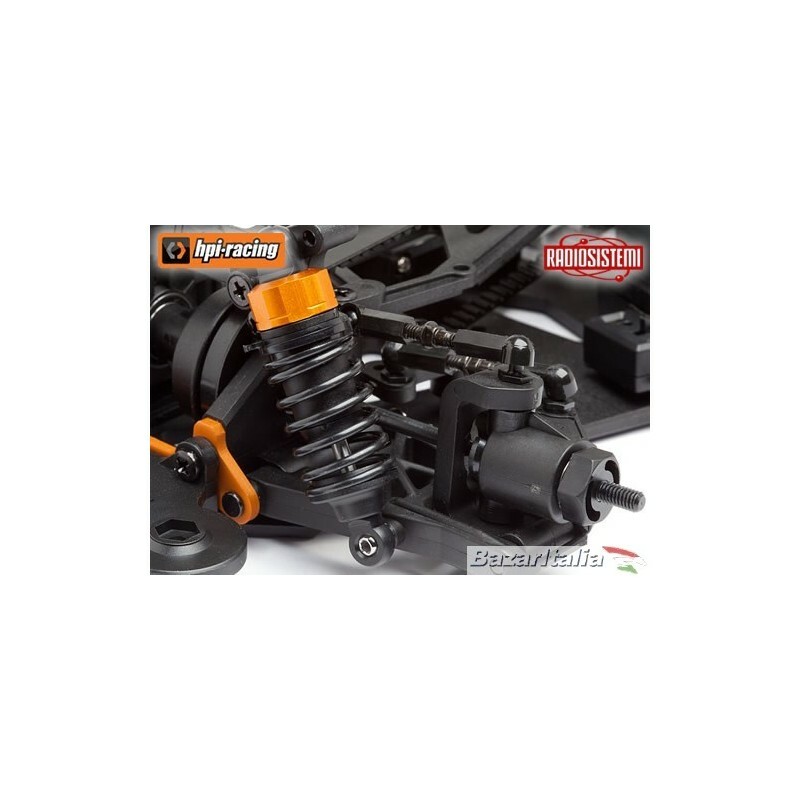 - Optional low profile front shock tower is included in the kit which allows the use of the full range of HPI 190mm or 200mm wide bodies. - Droop screws allow you to "race tune" your suspension settings.